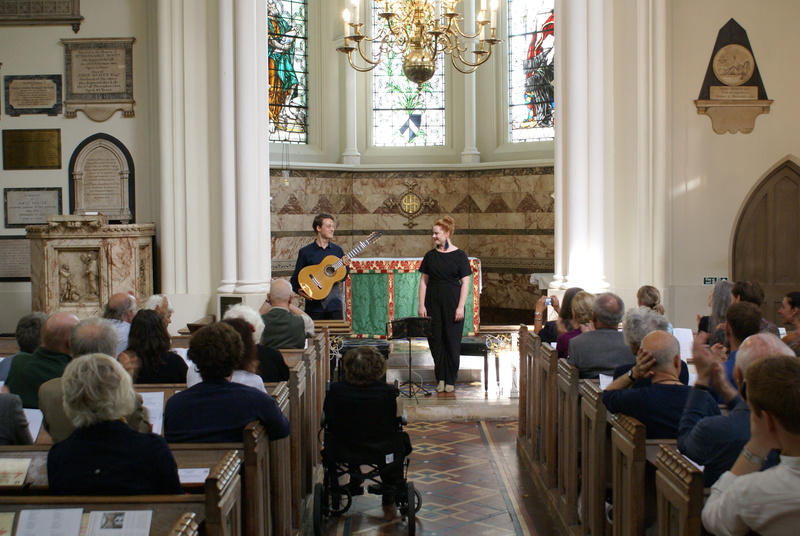 On Wednesday 19th September 2018, mezzo-soprano Lotte Betts-Dean (2017 CMF Artist) & guitarist Andrey Lebedev (2015 CMF Artist) launched our 2018-19 Lunchtime Recital Series at St Bart’s the Less. Lotte and Andrey, although solo artists in their own right, collaborate on a regular basis – they were awarded the Musicians’ Company inaugural New Elizabethan Award in 2018. Their programme included works from both Elizabethan eras, including music written especially for the duo by leading Australian composer, Brett Dean. For full details, please download the programme below.